A distinguished Indian political leader who lead the nation as the 8th Prime Minister of Republic of India, Vishwanath Pratap Singh has etched an important place in the history books. He is know for his work and reform programs where he helped improve the livelihood and lifestyle of the lower caste people of India. He was well regarded as one of the most bold politicians of India who even during his short stint as the Prime Minister brought upon many upliftment programs and did greater good for the backward class people. Vishwanath Pratap Singh is known for his sheer judgement where he made numerous bigger decisions facilitating the people of India. He held important positions in the Indian politics via cabinet based roles and host of other important responsibilities. He was initially part of the Indian Congress and even served as part of the cabinet. However, later he left the party and brought together a coalition of various small parties. His coalition won the general elections held in 1989 after which he became the prime minister of India. Vishwanath Pratap Singh was born on 25th June, 1932 into the royal family of Dahiya s the third child of the family. His royal clan Dahiya was settled on the banks of the ancient Belan river which flows across in Allahabad. But he was later adopted by Raha Gopal Singh who hailed from the Manda or say Gaharvar clan. He even climbed on the throne of Manda in 1941 when he was just at the age of 10. He studied from Colonel Brown Cambridge School from Dehardun and later continued it from Allahabad and Pune Universities. Vishwanath married Princess Sita Kumari, daughter of the then Raja from Deogarh-Madaria hailing from Rajasthan. He married the princess on 25th June 1955 at the age of 24 while the princess was of 18 years. They had two sons in their life, one of them named Ajeya Singh who served as a chartered accountant in New York and Abhai Singh who served as the doctor at the AIIMS, also known as All India Institute of Medical Science located in New Delhi. He started his political career as the member of the Legislative Assembly from Congress Party in the year 1969. He further won the Lok Sabha seat from in the 1971 and later on got appointed as the cabinet minister for the Department of Commerce in 1974 by the then prime minister of India Indira Gandhi. His period of Minister of Commerce was from 1976-77. He was then appointed as the Chief Minister of the Uttar Pradesh in the year 1980 by Indira Gandhi after the period of ruling by Janata faction was demolished. He served as the chief minister of Uttar Pradesh from 1980-82. His major role during his time as chief minister was to put a stop to the dacoity, a problem that was spicing most of the rural area of UP. He even attempted to resign because he couldn’t crack all the dacoits and solve the issue. But he later on helped resolve the surrender of many other dacoits during the year 1983. He later on again took his position of the Minister of Commerce in the cabinet in the 1983. He was known for managing the terms between the coalition of Bhartiya Janata Party and Lefts so as to dethrone the government of Rajiv Gandhi in 1989. He also became the Finance Minister after the 1984 general elections and saw the improvement in many areas. He even lessened the gold tax so as to stop the gold smuggling and even started giving the police a part of the gold that they confiscated. He started tracking down those people who don’t pay taxes and prosecuted them under the Enforcement Directorate of Finance Ministry. He even raided on the homes of many high-profile people like Dhirubhai Ambani, Amitabh Bachchan and more. That led to him being sacked as the Finance Minister by Rajiv Gandhi. Another reason that circulated during the time was that he raided many top industrialists who were part of Congress faction. He was then shifted to the Defence Ministry. After being shifted to defence ministry he again did investigation and found information about the Bofors deal, the deal which could severally put a blemish to the image of Rajiv Gandhi. After that he was again sacked from the Cabinet and he in return resigned from the congress party altogether. After resignation from the Congress party, he along with other political leaders like Arun Nehru and Arif Mohammad Khan formed a new party and alliance known as the Jan Morcha. In the next general election, Vishwanath Pratap Singh won the Lok Sabha Seat. He along with Jayaprakash Narayan, founded the Janata Dal after a merger of Jan Morcha, Janata Party, Lok Dal and Congress (S). Vishwanath Singh was selected as the President of the Janata Dal. The Janata Dal along with other parties from across the nation formed the National Front which contested 1989 General Elections. The National Front earned a majority in the Lok Sabha and then formed the government. After that, Vishwanath Pratap Singh became the name for prime minister from the Janata Dal faction. Although, initially he himself had projected the name of Chaudhary Devi Lal to be nominated as the Prime Minister of which Lal declined and said that instead Vishwanath himself be the prime minister. This events also shocked the other greatest rival of Vishwanath inside the Janata Dal, Chandra Sekhar who expected that Lal would have become the Prime Minister. 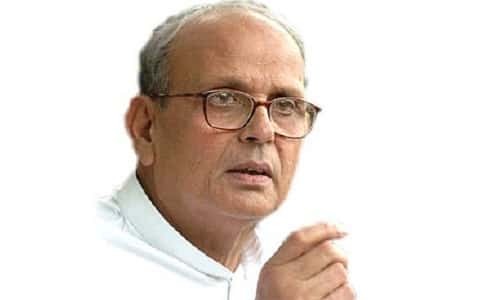 After the winning of Janata Dal and its allies, Vishwanath Pratap Singh became the leading candidate for Prime Minister and was appointed as the prime minister on 2nd December 1989. Singh only served as the prime minister for only a year, in fact a little less than a year from 2nd December 1989 to 10th November 1990. During his time, Janata Dal became the powerful party and won the majority and built the government in 5 states. He was appointed after the tenure of Rajiv Gandhi and his idea to launch the Indian Army’s operation in the Sri Lanka was put to end by Vishwanath Pratap Singh. His tenure saw problems right from the start of his tenure. During his time as the Prime Minister, Kashmiri Militants created a problem by kidnapping the daughter of Home Minister Mufti Mohammad Sayeed. Mufti Mohammad Sayeed was the former chief minister of Jammu and Kashmir. Vishwanath’s cabinet then decided to release the militants in exchange for the daughter of Mufti. He also visited Golden Temple and asked for the forgiveness of the Operation Blue Star and helped cure the rebellion that has started after that incident created such a mess around. Also later, as he came from a Janata Dal faction, where he prioritised social-justice issues and solved them. He implemented recommendations based on the Mandal Commission and suggested that a fixed number of reservations be reserved for members of such backward community. This point led to a widespread protest whereby the people of upper caste made claims that such a procedure should not be followed. Later on in 1990, Vishwanath Pratap Singh, also got in a battle with the Reliance Group where different financial institutions owned by the government like LIC and General Insurance Corporation stopped Reliance from acquiring the group Larsen & Toubro. There was also a Ram Temple issue ongoing during his time as the Prime Minister and it partly caused the demise of the coalition between the National Front. Even BJP suspended the support given to National Front. Vishwanath Pratap Singh at the time of struggle between Ram temple and Babri Masjid, choose to save the Babri Masjid. That marked the demolition of the National Front and after that he had to resign on 7th November 1990. His last days featured severe struggle suffering from diseases like multiple myeloma and renal failure. He was stationed at Apollo Hospital in Delhi and suffered the fate on 27th November 2008 when he breathed his last. His last rituals were followed at Allahabad on the banks of the holy river of Ganges a couple of days later on 29th November 2008. His last rituals were performed by his son Ajeya Singh. He was part of the Indian Congress faction initially but was ousted from the government which led to him being part of the coalition of National Front. He served for less than a year as the Prime Minister of India as the support for The National Front was ousted by the BJP on the issue of Ram Mandir. He later spent his life by touring all over India and giving lectures and speeches on different topics like that of social justice and more. He is known for improving the vast majority of socially backward classes.